If you missed the show, follow the link to hear the podcast! Just scroll down until you see my name and tune in! You will benefit from my new e-book for having a great signing! I’ve received so many questions over the years about people not having successful author signings or how to make them better that I’ve finally written a Kindle e-book that gives tried and true methods from my own play book! It’s a quick read chocked full of tips, and it’s at a super affordable price—$2.99 US, available on Amazon. Please stop by my website for more details! www.roseberrybooks.weebly.com. 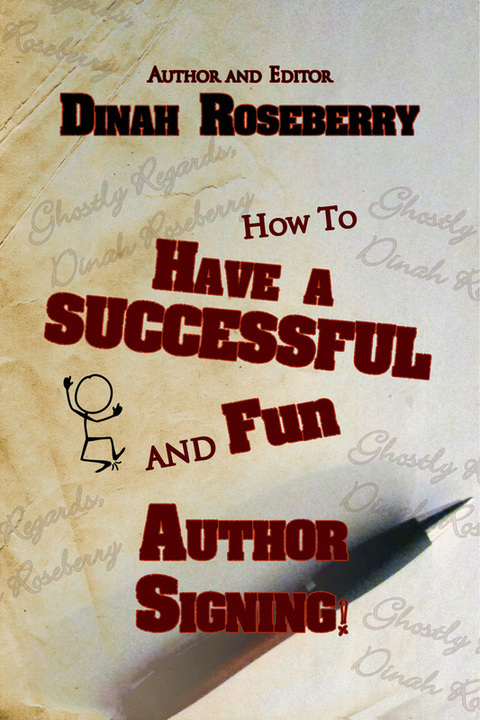 Join author Dinah Roseberry, an editor for a prominent paranormal/mind, body, spirit/UFO line of books, as she takes you through her tried-and-true methods for a successful author signing. Every author dreams of having a extraordinary signing—whether it’s the first time or one-hundredth—but it’s becoming more difficult with the tremendous competition, shrinking venues, and the need for a more high-profile performance. This short and snappy reference will offer how to’s, guidelines and tricks, and ideas that can help authors to be fabulous publicity engines for their books. Learn where to begin, how to handle helpers, understanding your money options, ways to offer something most people can’t resist, and more. Institute some of Dinah’s quicky tips and follow her easy to understand timeline. Anyway you look at it, having a successful signing is the first step to your stardom! Once I finished Jo Ann Koch’s Aliens, Abduction and Other Curious Encounters: Contact with E.T.s and Alternate Worlds, I was considering whether I wanted to write a review. Well, actually, I didn’t want to write one. After learning about her experiences, I’d begun to think that I’d been living a charmed and protected life in my pursuit of UFO knowledge. What if writing this review brought unwanted attention from “them”? That’s not an exaggerated thought process, considering what she went through. In fact, it was fairly likely. As I began to read, the story moved along giving voice to a background of solitude and muted fear. I’d planned to stretch out the reading of Jo Ann’s book for a period of relaxing time. Well, that plan belonged to someone else, because once I got to her fight against her abductors—and for her own sanity—I finished the book in one night. When I finally put it down (at two in the morning), I looked nervously around my living room and then started my defensive prayer ritual to be protected from all who would hurt or exploit me or mine. I’ll be more vigilant about that in the future—if that even works. I was excited to have interactions with Neffer because it's no secret in the UFO world view that Egyptian history has an important impact to the field. Neffer's Lenormand Deck not only has divination properties, but the background into Egyptian "lore" (realities? I think so) are amazing. Check it out! Visit her website at: https://magickalmusings.wordpress.com. about UFO and Alien Management! I’m not big into aliens and UFOs, but I will tell you I saw a UFO once, maybe twice, but definitely once & one of my best friends was with me so I have a witness. It was hovering over a home in our neighborhood & we ran the 2 blocks back to my house screaming our heads off all the way. It’s one of those things a person just never forgets. What if you have had a UFO or alien experience, but you have blocked it from your consciousness? UFO & Alien Management addresses that as well as offers information for those who do remember their experiences, or bits & pieces of them. 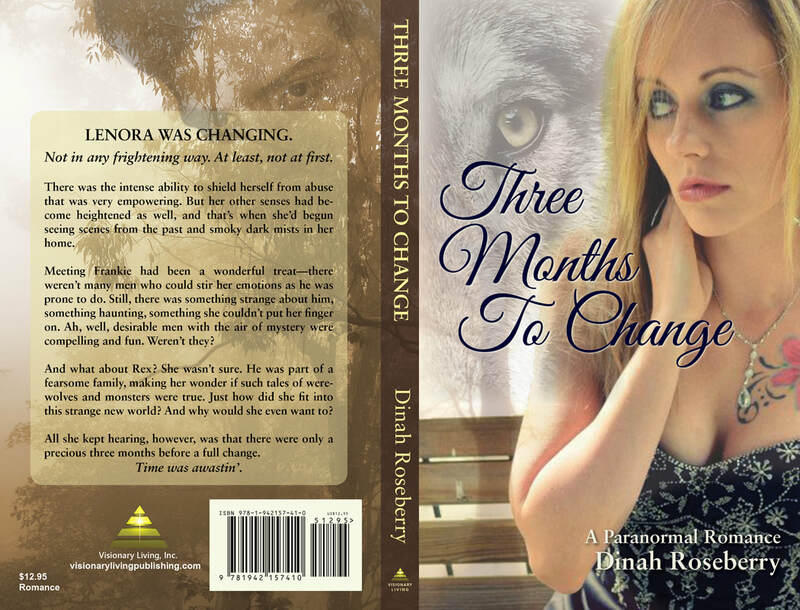 The author, Dinah Roseberry, focuses on offering information on how any reader of this book can take themselves through a UFO/alien regression in order to discover if they have hidden memories. If you just suspect you MIGHT have had an experience, this book is definitely geared to help those who may be repressing memories to bring them forward so they can then be dealt with in a healthy manner. UFO & Alien Management has a sturdy cardboard cover akin to higher grade paperback books; however, unlike a typical book, this one is spiral-bound. This is done so the book will lie flat when a person is reading the text for a guided regression session. As you read UFO & Alien Management you will not have to keep your hand on the book to keep it open to a page or weigh the sides of the book down with rocks or anything if you are using it for a regression. It lies perfectly flat for this purpose, which is a very nice touch as it makes the use of the book easy and convenient. Printed on semi-glossy high-grade paper and consisting of 80 pages, UFO & Alien Management is a presentation in a simple and straightforward manner. Dinah Roseberry has a very personable way of writing and you will feel as though she’s right there next to you telling you all about the subject matter. UFO & Alien Management would be enjoyable by anyone who has had an alien or UFO experience, but even if you haven’t and you’re just a fan of Star Trek or Star Wars, the book is a very interesting read. I recently had an opportunity to speak with Dinah about her book. What follows is that interview. Nefer: The importance of spiritual protection during an ET regression is a new one on me. Would you care to further expand upon the reasoning behind this? Have you or your clients had negative experiences, hence the need for protection? Dinah: There are all kinds of situations where one should practice protection. Paranormal investigators (the smart ones) do this routinely because things can turn wrong on a dime. Star Beings are an unknown; there is lots of speculation about good, bad; right, wrong; safe, dangerous. It’s best never to take chances. I have definitely heard of those who have had frightening things happen to them relating to UFOs and Star People. Protection is protection and can be used for anything—a trip to the dentist, a long drive down a dangerously icy highway, a visitation from aliens. Why wouldn’t someone want their spiritual protection in place before becoming involved in things unknown? It never hurts to be careful. My recommendation is not to enter this field without it. Nefer: It sounds from reading your book, UFO and Alien Management, that you have worked with Archangel Michael a long time. What has your experience with him been like? Dinah: I always feel protected now that I know he is about. I found out about his protective nature when attending an Angel workshop with Pat Cassell. Through her, he offered a specific prayer so that he could be called upon whenever I needed him for protection. Believe me, I keep him running! I don’t always call on him just for myself, either, but for anyone going through anything! A psychic I know asked me once if I had a request for Michael. (She hears her answers audibly in her head (clairaudient).) I asked for more protection. He answered: “What, again? !” She said that he laughed and then added, “Of course.” I also interact with the archangel Raphael for my health and other angels have shown up in varied readings I’ve had. I’m always in awe whenever I feel they are around. Nefer: What is/are your reason(s) for writing this book? How do you hope your book will help others? Dinah: To be absolutely honest, I decided to write this book because of money. Not making money, but because I know that people sometimes find the high cost of hypnosis for alien abduction or UFO experiences to be beyond what they can manage. I went through this personally and just had to let things pass me by, because I could not afford to purchase assistance. Some fifteen years or so later, an opportunity was given to me to become a certified hypnotist (more archangel, guide, and light being help). I found that there was a way to conduct a “pre-session” via visualization that could give lots of information about any kind of UFO event for someone wanting to “find out what really happened.” For my process, one just has to be calm, persistent, follow the rules closely, and allow the information to surface. Then, at that time, a person can decide if a hypnotist or other assistance is needed. Oftentimes, their questions will be answered and no more help will be desired. The book takes a self-help approach, giving the methods, the preparations, the goals, the cautions…it offers a helpful and important place to start. Nefer: Can someone benefit from your book who has had no UFO or ET experiences? Dinah: The short answer is yes. Some people don’t think they have had an experience, when in fact they have. This can bring that kind of thing up from the subconscious. Also, people interested in the topic can use the method to make contact, but I do suggest caution with this and for people to consider the dangers. Nefer: You list different types of aliens. Most readers will only be familiar with the Grays. Is it safe to assume different alien races have different agendas; and if so, how do we know this to be the case? Dinah: This, of course, is total speculation. I haven’t a clue about agendas. Much of what I have experienced, read about, heard about, etc. spouts theory—just like I do. (Although I should mention that I’ve had several experiences and was part of a small group who—on September 13, 2012—saw 19 UFOs.) We really don’t know the truths or whys. Are there people who do know? I believe there are. And yes, I believe they are keeping information from us. (I guess you can see that I’m a bona fide conspiracy theorist.) My thinking is this: if we, here on this planet, have people who have agendas, why wouldn’t that kind of thing occur everywhere in some fashion? The whole thing is a scary concept. It always rolls back to the question: Do we really want to know? Uhmm, sorta kinda maybe—as long as there are no big spider aliens. I just couldn’t deal with that. (And I should say that I’ve heard that there are bug aliens that resemble spiders.) We very well could be taking a chance trying to interact just because of this agenda thing. Speculation all. Nefer: In your considered opinion, are aliens here to merely observe (as in: “hey! Let’s take the kids to the zoo!”), to help with our technological development or physical evolution, or to take our planet for their own? What is/are your reason(s) for your opinion? Dinah: I do believe they are observing and one source has said to me that we are never alone in our lives—there are dozens of aliens standing in our rooms watching everything we do—24/7. (Creepy.) We’ve all heard about the good ones, too. They are here to help us move our vibrations upward—boy do we need more help if that’s the case. There must be some truth to the theory that there is a council that rules over the whole body, otherwise why wouldn’t they just come on down and a) take over, b) have us for lunch—or take us to lunch, c) get rid of all the scum—or add said scum, d) cure our diseases or wipe us out with their own brand of germ; or e) give us still more technology (maybe they already have and that’s why we have so many problems). I try to keep an open mind on these things. I want really bad to believe in the good…and I’ve had mostly good experiences. Others I’ve talked to, not so much. Which brings us back to your beginning question about protection! 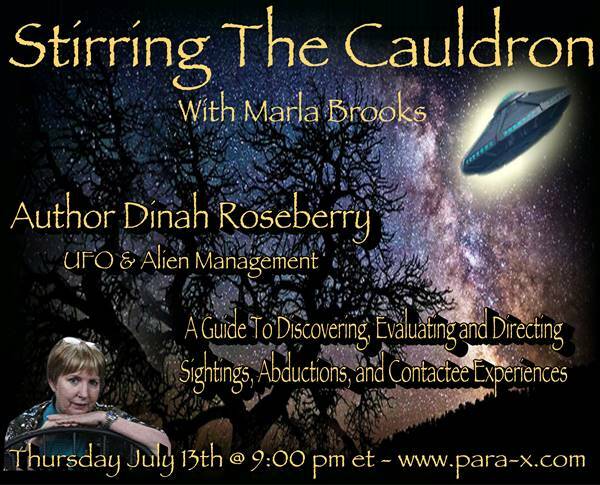 I wish to thank Dinah Roseberry for taking the time to reply to my questions about UFO & Alien Management. I believe her contribution to the field to be an important one as it will allow many to access regression techniques that until now may have been beyond their means. I do reiterate what Dinah has said and stress the importance to everyone to please invoke some type of spiritual protection before any regression attempt. This also goes for contacting your spirit guides and even reading Tarot, Lenormand or oracle decks.